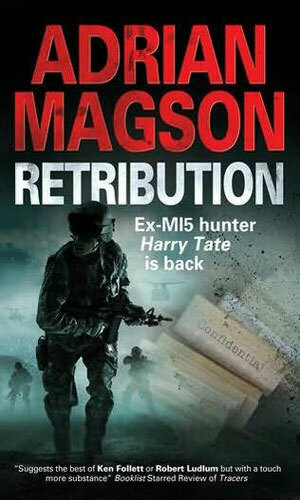 Harry Tate is an agent for MI-5. He has been an agent in fairly good standing for quite a few years, certainly more than a decade as he is in his early forties as the first book begins. The comment about his standing is accurate as his peers and immediate supervisors believe him to be a very capable and trustworthy agent. The same high praise is not so forthcoming from to the higher-ups who have dealt on occasion with Tate's honest answers to questions for which honesty is not sought. Prior to his years with the counterintelligence organization, Tate had served in the British military, reaching the rank of Captain through decorated service in several hot zones such as Kosovo and Iraq. He was regarded by his superiors there much as those close to him in MI-5 saw him - diligent, capable, intelligent, and usually counted on to do what he was told "most of the time". Now in the department, he found he liked what he did and had no great desire to move up the food chain and out of where he was best qualified. Such apparent lack of ambition, though, made him suspect to some above him. Tate probably had no special changes to his life planned as the series opens but changes are soon coming drastically when a rushed assignment without sufficient manpower goes terribly wrong when two innocents sneak into an area they were not permitted to go and then had the indecency to get themselves quite dead. With the press poised to raise a huge stink, a fall-guy was needed and Tate's truthfulness would prove too much of a burden. It might have been better for all concerned if they had just sent Tate on a long paid vacation instead of what they chose to do. Tate can be easy-going up to a point but crossing that line is a dangerous act as he would soon show them. 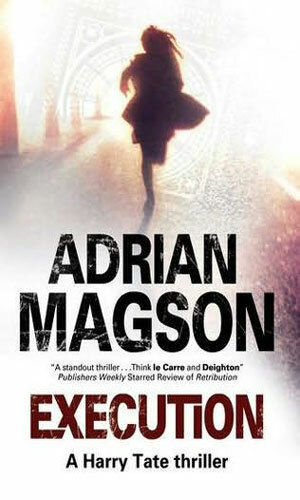 As the series progresses, Tate finds that though he is not in the employ of MI-5, he cannot escape his training and his skills. The person signing the paycheck may change over time but the work and dangers and the excitement stay the same. Another thing that does not change is Tate's abilities as a finder - someone who can track down other people who might not want to be found. He is very good at it. 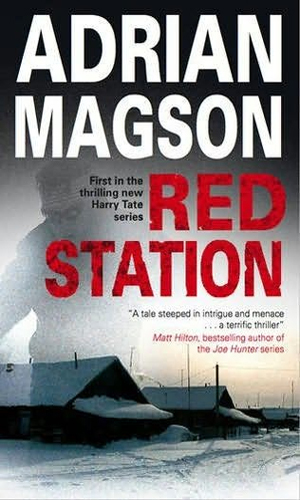 When a mission he was running goes badly and several people die, including two civilians, Harry Tate agrees with his bosses that a transfer to Red Station, an out-of-the-way camp in Georgia in the Balkans. There he learns it is a place no one can leave alive. Tate does not like that option. Harry Tate is hired by a government employee to find two different people who had disappeared. He found both and then learned that each was subsequently assassinated. When he is asked to find a third, an Israeli professor, he knows enough to ready for trouble. 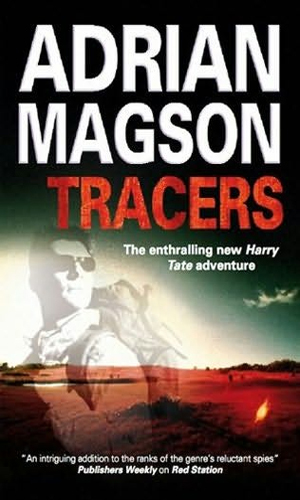 He knew enough to not want the job so Harry Tate was ready to turn down the task of tracking for MI6 a woman officer who failed to report for duty to Afghanistan. Then he learned that his old boss who tried to have him killed was involved. A horrible event in Kosovo in 1999 is coming back to plague people involved, finding several of them killed by a single assassin. 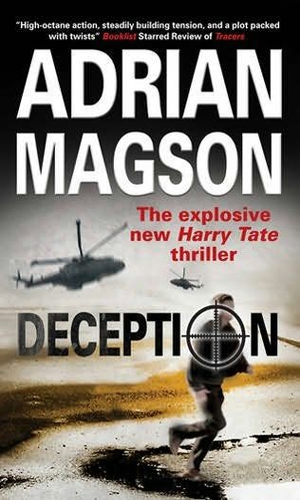 Harry Tate is asked to find out who and stop them but to do that he must find the truth of that event. Clare Jardine is on the run while still recovering from wounds suffered while saving Harry Tate. Now he is tasked with bringing her in before the Russians, who want her dead, find her. Tate is good at finding people but Jardine is very good at hiding. I am going to be a Harry Tate fan for a long time. I got the same strong vibe from the first two books that I did years ago when I first read the Matt Helm and Sam Durell and Deveraux series. Here is a character that I will want to read a lot more of, a man who is darned good at his job, knows it, enjoys it, and to heck with what others think. It is a great feeling, especially seeing that the third book is coming in just a couple of months. There was a touch of apprehension when I first grabbed the books as it seemed like it was a strange retelling of The Prisoner but that went away inside the first chapter. It was replaced by a feeling that I did not like the guy who sent Tate away and looked forward to his comeuppance. It took Tate a while to accomplish this as other problems came along but he handles them all nicely and much to my satisfaction. Please make yourself happier by reading these books.